Standing out in an over-crowded job market can seem almost impossible without the right career advice. Fortunately, your dream job is only a few steps away with a resume that spells out your strengths in a format that’s easy to digest and language that makes you memorable and “must interview” material. In 1997, Tom Peters wrote an essay for Fast Company that perfectly captures why it’s inescapable to be a brand. The essay, “The Brand Called You”, explains that in a digital world, we are our own marketing research departments, distilling the essence of who we are for all our various audiences. Interview your family, friends, housemates and work colleagues to find out you offer – are you committed, creative, compassionate? Demanding, detail-oriented, dramatic? Distill what it is about you that resonates with your “market” and write a brand statement for yourself. This brand statement will form the core of how you communicate your personal brand on paper: the layout and colours; a resume summary; work history; achievements, and relevant skills. For your first job, keep your resume as short as possible. You can use a cover letter to sell why you’re ideally suited to the job and even name-drop. 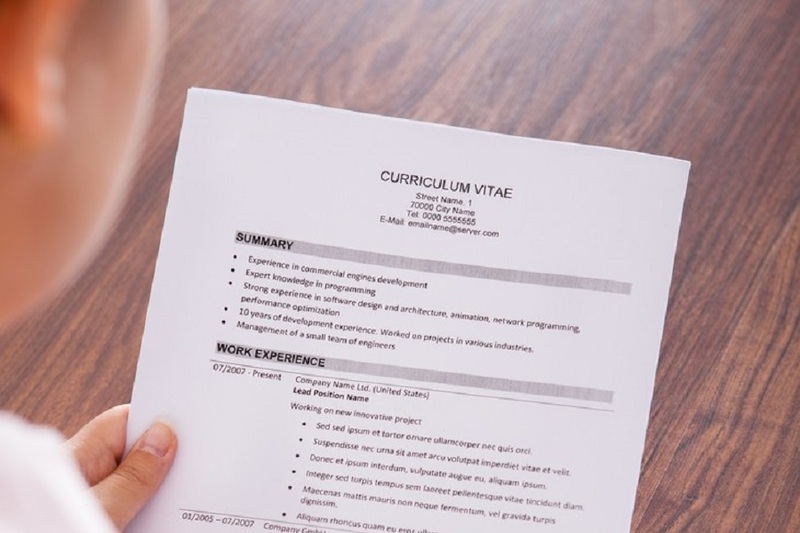 Your resume should focus on the keywords that stand out in the job advertisement as it’s likely a keyword search engine will scan your resume before it gets to a human. If you’ve interned or had work experience in a law firm, using these terms in your resume will help you get through the search engine and stand you in better stead for an interview. If your degree or education qualifies you for a number of roles, write several versions of your resume tailored to the role. If you have a law degree and you’re applying for internships as well as roles within the public service, tailor keywords and your resume summary to the role you’re applying for. Once your resume makes it through to a human, make it stand out from the crowd. A layout with colours that reflect your personality and values as well as a format that demonstrates your capabilities will help to make your resume memorable. Keep in mind the format most applicants in your category will use and research formats used by successful applicants online. A good author edits their book up to 30 times. Your professional resume deserves at least five edits before you’re finished. When you have finally decided it’s ready for the world to see, get someone you trust has good grammar and spelling skills to proofread your essay. If that’s easier said than done, try one of our career consultants. Once your resume is ready, the next step is to prepare for the job interview. Research your market, your employer and the person conducting the interview with online resources such as LinkedIn. For a professional approach, call on an experienced career guidance specialist in Melbourne. We can provide the best advice on starting off your career.